I had intended to write the concluding part of “Kill Non-Muslims" however, I had to change my mind. I received an email from an eminent Muslim, Dr Muhammad Kabir Adam, one of the three deputy Imams at the National Mosque. The email was his Khutbah (sermon) for today. He is one of the few people I know who take pains to type their sermons in Arabic and do so by themselves. 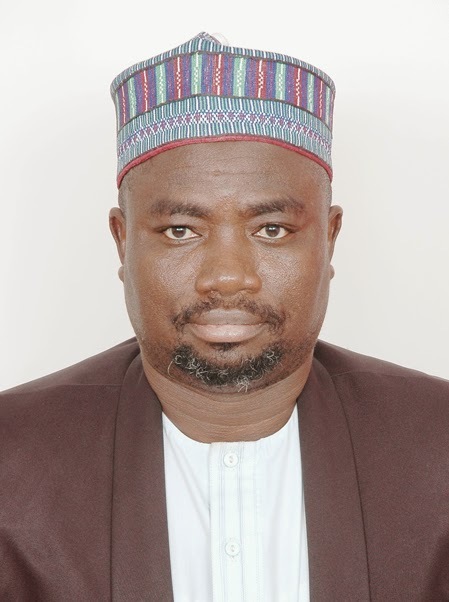 The new Executive Secretary of the Abuja National Mosque, Alhaji Ibrahim Abubakar Jega, has introduced a good innovation to information dissemination on Jumu’ah days. All Imams are now required to submit a typed khutbah (sermon) at least two days to the day of Jumu’ah. The management should kindly go further by making the sermons available to the congregation every week, so that those present can give the sermon to those who were not. After I read the sermon, I decided that I would translate the khutbah into English and share with my readers. This is in honour of a brother and friend with whom I have served under the late Imam Musa Muhammad (may Allah have mercy on him) for over two decades. Please enjoy! Praise be to Allah Who splits the grain of corn and the date-stone (for sprouting); and (for everything in this world), He shapes and fashions; He measures (its stages) and He guides (it). He is the First; there is nothing before Him. And He is the Last; there is nothing after Him. He is the Outward, and there is none above Him; and He is the Inward; there is nothing beneath Him. He brings what He wills to pass and chooses; none of His creatures has any choice. Glory be to Him, the Almighty, and Greatly Exalted is He above what others associate with Him. I bear witness that there is no deity worthy of worship but Allah alone, without partners. I bear witness that Muhammad is the Servant, Messenger of Allah and the seal of prophets and emissaries, who was sent as a mercy to the world. He conveyed The Message, fulfilled the Trust, gave sincere counsel to the Ummah, and exerted his utmost in the cause of Allah as he should until The Certainty (of death) reached him. Allah’s salutations and peace be upon him, the members of his wholesome and pure household, and his companions (who were) the best (of those who walked on the earth), and upon those who followed them with goodness until the Day of Judgement. O ye who believe! Observe your duty to Allah with right observance, and die not save as those who have surrendered (unto Him). O ye who believe! Guard your duty to Allah, and speak words straight to the point; He will rectify your deeds for you and will forgive you your sins. Whosoever obeyeth Allah and His Messenger, he verily hath gained a signal victory. Furthermore, Oh people! I admonish you and me to fear Allah, The Glorified, for that is the refuge and (benign) abode. “And whosoever keepeth his duty to Allah, Allah will appoint a way out for him. And will provide for him from (a quarter) whence he hath no expectation…. And whosoever keepeth his duty to Allah, He maketh his course easy for him. (At-Talaaq: 2-4). Servants of Allah! Know that Allah, Almighty has prescribed keeping trust on His servants, and made it onerous duty that must be kept by all. The life of everybody (in a given society) is certain to be whole, provided trusts are kept (and not betrayed). It has to be so, for Allah, the Almighty commands us to keep trusts and to restore them to their rightful owners, where He said: ‘Lo! Allah commandeth you that ye restore deposits to their owners,..’ (An-Nisaa:58). Keeping trust, Oh brethren in Faith, is a noble trait, a praiseworthy conduct. The attribute of keeping trust is the cornerstone of societal, political, religious and psychological wellbeing. Whoever tells you something in confidence has demanded trust of you. Thus money in man’s possession is a trust. The citizens are a trust under the care of those in authority. Divine obligations are a trust, as well as human interactions as a whole. In a hadeeth on the authority of Samurah, the Messenger of Allah said: ‘Keep what is entrusted to you, and do not betray those who betrayed you.’ (Recorded by Ahmad and others). Brethren in Faith! Part of the trusts that is incumbent on man to keep will be Allah’s rights on His bondsmen in relation to obedience and fulfilling acts of worship. Another is trust pertaining people’s rights over one another. For instance, the responsibility of (protecting) the nation is a trust on the president. Workers and public servants in general have the responsibility of preserving governmental affairs as a trust by discharging their task diligently. In the Saheeh of Ibn Hibbaan, the Messenger of Allah said: ‘Verily, Allah shall question everyone tasked with a responsibility whether or not he kept it or betrayed it, to such an extent that (Allah shall question) the man concerning (the way he treated) his household.’ (Reported by Al Hassan and Anas, may Allah be pleased with both of them). Distinguished brethren! Martyrdom in the cause of Allah atones for all sins except betrayal of trust. (Meaning martyrs will have all their sins forgiven them except where they betrayed a trust; that sin must be sanctioned). On the authority of Ibn Mas’ud, may Allah be pleased with him, who said: ‘Death in the cause of Allah atones for all sins except betrayal of trust. He said, a servant will be brought on the Day of Judgement, even when he was martyred in the cause of Allah, and it would be said to him, fulfil your trust (that you betrayed in the world). He will answer: Oh my Lord! How can I (fulfil) the trust when the world is extinct? It will be said concerning him: ‘Drag him to Haawiya (Hell Fire)’ and he would be dragged. Then it would be said, ‘Salah (prayer) is a trust, ablution is a trust, the weighing (of what belongs to others correctly) is a trust, and (giving the right) measure is a trust and many things he listed, the most grievous of which was (restoring) deposits (to their owners).’ (Reported by Bukhari, Ahmad, Al-Baihaqy). Oh Muslims! If a martyr in the cause of Allah would be consigned to Haawiyah for betraying trusts, what is the lot of non-martyrs and sinners who deliberately chose treachery and sundry transgressions? And do you discern what Haawiyah is? It a blazing fire that burns the sinful where they will neither die nor live. May Allah protect me and you from its punishment. Also, may Allah bless me and you with the (reading) of the Glorious Qur’an, and benefit me and you with what is in it of the verses and wise reminders. Servants of Allah! Seek your Maker’s forgiveness, for He was ever Forgiving. And he will help you with wealth and offsprings, and will assign unto you Gardens and will assign unto you rivers. Praise be to Allah; the affair rests with Allah only. There is no god but He, and Muhammad is His Messenger, blessings and peace be upon him.